It’s important to find a balance of the foods that you love, as well as foods that are good for you body in order to maintain a balanced, yet delicious diet. Why Eat Foods That Are Good For Your Body? It’s impossible to stay healthy without ensuring that you have a balanced intake of fruit, vegetables, meat and vegetables. Once this becomes out of balance, it becomes difficult for your body to receive all of the nutrients, minerals, calories and protein that it needs. And not only do these things matter to your internal organs, but they can have a dramatic effect on your appearance, immune system, energy levels and your general well being. A lot of fatty and sugary foods can imbalance hormones and cause a breakout of spots and oily skin, and over a long time affect other components of your health. Of course, this doesn’t mean that you can’t still savour and enjoy the foods that you love, including some of these foods in your dishes or eating them as a snack can greatly improve the components of your body and help build up a healthy balanced diet. So if you want to know how you can detox your body and ensure that it’s in the best condition possible, keep reading! As we have devised a list of some of the best foods to include in your day to day life to maximise your body’s efficiency. Sweet potatoes have become widely popular in recent years and have been used in a variety of dishes to substitute for carbohydrate heavy ordinary potatoes. Sweet potatoes are a larger sized type of potato which are rich in vitamins and potassium that are key to a healthy diet. One benefit of eating sweet potatoes are the glow that it can bring to your skin, they contain copious amounts of carotenoids that give them their bright orange colour. Just one half of a sweet potato provides 200% of your daily carotenoid intake. Take a look at these sweet potato recipes to use for lunches and dinners! If you drank a little bit too much at the weekend and a greasy burger is on your mind, you might want to reconsider your food choice. Grease and junk food is a common craving for those that have overindulged with alcohol simply because of the after effects it has on your body. Steamed asparagus has been known to be highly effective as a hangover cure, the amino acids and minerals found in asparagus fight hangover symptoms and helps protect liver cells. As well as this, asparagus is naturally diuretic and will flush out any of the toxins in your body. Making it a fantastic option to include in your daily meals and lunches. Included in a variety of dieting and healthy eating plans, grapefruit is known for its fantastic fat burning properties. Eating half of a grapefruit before each meal can help you burn off fat within just 6 weeks! As well as this, a Japanese research team investigated and found there are health benefits that grapefruits have before you even eat them! Supposedly the scent of a grapefruit can cause your calorie-burning brown fat cells to speed up and intensify the breakdown of fat while at the same time reducing your appetite. Although check with your doctor before starting a grapefruit diet, as they can negatively react with specific courses of medication. Known for their rich potassium content, bananas are used in a variety of delicious dishes across the world. Banana ice cream, milkshakes, breakfast dishes and flavouring, are included in a variety of indulgent meals. But as well as being paired with delicious sweet treats, as a whole they are a delicious snack and can be transformed into freeze-dried banana chips that are perfect for on the go. Another health benefit of bananas is the anti-bloating properties that make them great for those that frequently suffer from bloating as well as stomach cramps. In fact, one banana eaten as a snack or before a meal reduces the intensity of bloating by a whopping 50%. Check out these fantastic banana desserts that we love! Not everybody’s favourite condiment choice, but mustard holds some fantastic health benefits. If your not the biggest mustard fan that’s no problem, it has a very intense taste so is often incorporated into dishes with a lot of flavour from wood smoked meats so that the taste is brought down a notch and balanced out – creating a beautiful sauce for meats and other dishes. So this doesn’t mean that you must eat a teaspoon of mustard every day. Mustard holds metabolism boosting properties, which is perfect for those that are trying to lose weight! Just one teaspoon of mustard can boost your bodies metabolism by an astonishing 25%! Beetroots are commonly used in salads and dishes rather than being eaten on their own, although they are still just as tasty when eaten fresh. Just like asparagus, beetroots can be the ideal hangover cure. The antioxidants found in them work to repair and regenerate cells within your liver. And of course, beetroots may not be your first craving after a heavy weekend of drinking, which is why smoothie companies such as Naked and Innocent have begun incorporating things like beetroots into their delicious blends of fresh fruit. So that when you’re recovering the next day you can relax with a refreshing smoothie with all the good stuff, without having to taste them if they aren’t suited to your taste pallet. Avocado has a very acquired taste, smashed, blended into guacamole or diced up in a salad; avocado can be combined with a variety of things which is what makes it so delicious. Dips such as guacamole are often used to accompany things like tortilla chips and breadsticks, mainly found at family gatherings, big events and catering Milton Keynes it’s usually a popular hit at most events. Avocado contains oils that work fantastically at settling the stomach, in fact, linalool and geranyl acetate even have evidence to support that they have a positive effect on IBS. Check out this delicious guacamole recipe! We recommend eating some of these foods regularly to maintain a healthy, balanced diet. If you’re having a cheat day, why not include some of these detox foods to add a healthy kick to your meals. All of our corporate catering Northampton can be tailored to your dietary needs, and we offer vegetarian, gluten-free, halal and dishes for those with allergies. 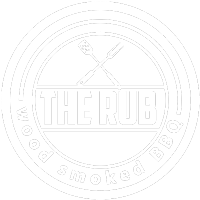 Previous Post The Rub Are Featuring On BBC Three Counties Radio! Book Us For Your Event Today and Recieve a 5% Discount!